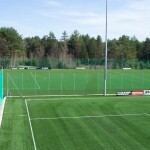 Vermont Custom Nets specializes in the design, engineering, and installation of custom net fences, barriers, ski area netting, backstop netting, outdoor batting cages, and outdoor golf ranges and cages. Our products include custom nets, stadium pads, goals for soccer, baseball, lacrosse, and field hockey, and tennis and ski area nets. We are a KwikGoal dealer featuring a substantial discount to all our netting customers. Live in Vermont? We are Vermont’s exclusive Sport Court dealer for game courts including tennis, basketball, volleyball and pickleball courts. VCN offers custom made products. Contact VCN to place your order.